Developing mobile medical units, surgical instruments and a method for transporting blood for transfusions. Henry Norman Bethune (March 3, 1890 – November 12, 1939; Chinese name: çÆÆ; pinyin: B¡i Qiän) was a Canadian physician and medical innovator. Bethune is best known for his service in war time medical units during the Spanish Civil War and with the People's Liberation Army during the Second Sino-Japanese War. He developed the first mobile blood-transfusion service in Spain in 1936. A Communist, he wrote that wars were motivated by profits, not principles. 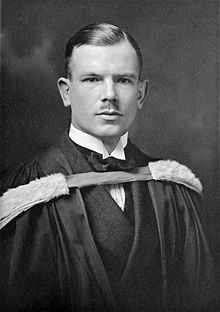 Dr. Norman Bethune came from a prominent Scottish Canadian family. His great great grandfather, the Reverend John Bethune (1751–1815), was the family patriarch and established the first Presbyterian Church in Montreal. Norman Bethune–s great grandfather, Angus Bethune (1783–1858), joined the North West Company at an early age and traveled extensively throughout the north western territories, exploring and trading for furs. He eventually reached the Pacific at Fort Astoria, Oregon. He became chief factor of the Lake Huron district for the Hudson's Bay Company after the merger of the rival companies. Upon retirement from the HBC in 1839 he successfully ran for Alderman of Toronto City Council. Norman–s grandfather, also named Norman (1822–92), was educated as a doctor at King's College, University of Toronto, and in London, England at Guy's Hospital, graduating in 1848 as a member of the Royal College of Physicians. Upon his return to Canada, he became one of the founders of the Upper Canada School of Medicine, which was incorporated into Trinity College, Toronto and eventually the University of Toronto. Norman–s father, the Rev. Malcolm Nicolson Bethune, led an uneventful life as a small town pastor, initially at Gravenhurst, Ontario 1889-92. His mother–s name was Elizabeth. Both his parents were very religious. Norman grew up with a "fear of being mediocre", instilled into him by his emotionally strict father and domineering mother. Norman was born in Gravenhurst, on March 3, 1890. His siblings were his sister Janet, and brother Malcolm. As a youth he attended Owen Sound Collegiate in Owen Sound, Ontario, now known as Owen Sound Collegiate and Vocational Institute. He graduated from OSCVI in 1907. In September 1909 he enrolled at the University of Toronto. He interrupted his studies for one year in 1911 to be a volunteer labourer-teacher with Frontier College at remote lumber and mining camps throughout northern Ontario, teaching immigrant mine labourers how to read and write English. In 1914 when war was declared in Europe, he once again suspended his medical studies. In a flourish of patriotism he joined the No. 2 Field Ambulance to serve as a stretcher-bearer in France. He was wounded by shrapnel and spent three months recovering in an English hospital. When he had recuperated from his injury he returned to Toronto to complete his medical degree. He received his M.D. in 1916. In 1917, with the war still in progress, Bethune joined the Royal Navy as a surgeon-lieutenant at the Chatham Hospital in England. In 1919, he began an internship specializing in children's diseases at The Hospital for Sick Children at Great Ormond Street, London. Later he went to Edinburgh, where he earned the FRCS qualification at the Royal College of Surgeons. In 1920 he met the strikingly beautiful Frances Penny. They were complete opposites; she was a subdued introvert; he was a brash extrovert, but in spite of this they married in 1923. After a one-year –Grand Tour– of Europe, during which they spent her entire inheritance, they moved to Detroit, Michigan, where Bethune took up private practice and also took a part-time job as an instructor at the Detroit College of Medicine and Surgery. In 1926 Bethune contracted tuberculosis due to overwork and from his close contact with the poor. He sought treatment at the Trudeau Sanatorium in Saranac Lake, New York. Believing he was dying, he insisted his wife divorce him and return to her native Scotland, so she did. In the 1920s the established treatment for TB was total bed rest in a sanatorium. While convalescing Bethune read about a radical new treatment for tuberculosis called pneumothorax. This involved artificially collapsing the tubercular (diseased) lung, thus allowing it to rest and heal itself. The physicians at the Trudeau thought this procedure was too new and risky. But Bethune insisted. He had the operation performed and made a full and complete recovery. Upon recuperation Bethune immediately wrote to his ex-wife and proposed marriage again. At first she refused but eventually he and Frances were remarried in 1929. This did not last long, however, and they were divorced again for a final time in 1933. In 1929 Bethune joined the thoracic surgical pioneer, Dr. William Edward Archibald, the Surgeon-in-Chief of the Royal Victoria Hospital in Montreal, the teaching hospital affiliated with McGill University. From 1929 to 1936 Bethune perfected his skills in thoracic surgery and developed or modified more than a dozen new surgical tools. His most famous instrument was the Bethune Rib Shears, which still remains in use today. He published 14 articles describing his innovations in thoracic technique. Bethune became increasingly disillusioned with surgical treatment and concerned with the socioeconomic aspects of disease. As a concerned doctor in Montreal during the economic depression years of the thirties, Bethune frequently sought out the poor and gave them free medical care. He challenged his professional colleagues and agitated, without success, for the government to make radical reforms of medical care and health services in Canada. Bethune was an early proponent of socialized medicine and formed the Montreal Group for the Security of People's Health. In 1935 Bethune travelled to the Soviet Union to observe first hand their system of health care. During this year he became a committed communist and joined the Communist Party of Canada. He at first was not convinced communism was the answer to the world's problems, and refused when at first offered the leadership of the Communist Party of Canada. But when the Spanish Civil War began, he was ready to throw in his lot with the communists. The next year, 1936, the Spanish Civil War broke out. Bethune accepted an invitation from the Committee to Aid Spanish Democracy to head the Canadian Medical Unit in Madrid. He joined the Mackenzie-Papineau Battalion which was composed of Canadian communists and other leftists and set off for Madrid on November 3, 1936. A frequent cause of death on the battlefield is medical shock brought on by loss of blood. A casualty whose wounds do not appear life-threatening suddenly dies. Bethune conceived the idea of administering blood transfusions on the spot. He developed the world's first mobile medical unit. The unit contained dressings for 500 wounds, and enough supplies and medicine for 100 operations. Bethune organized a service to collect blood from donors and deliver it to the battlefront, thereby saving countless lives. Bethune's work in Spain in developing mobile medical units was the model for the later development of Mobile Army Surgical Hospital (MASH) units. Bethune returned to Canada on June 6, 1937 where he went on a speaking tour to raise money and volunteers for the anti-fascist battle raging in Spain. In 1938 Bethune travelled to Yan'an in the Shanbei region of Shaanxi province in China. There he joined the Chinese Communists led by Mao Zedong in their struggle against the Kuomintang. The Lebanese-American doctor George Hatem who had come to Yan'an earlier was instrumental in helping Bethune get started at his task of organizing medical services for the front and the region. In China, Bethune performed emergency battlefield surgical operations on war casualties and established training for doctors, nurses and orderlies. He did not distinguish between casualties, treating wounded Japanese prisoners as well as Chinese. In the summer of 1939 Bethune was appointed the Medical Advisor to the Jin-Zha-Ji (Shanxi-Chahar-Hebei) Border Region Military District, under the direction of General Nie Rongzhen. Stationed with the Communist Party of China's Eighth Route Army in the midst of the Second Sino-Japanese War, Bethune cut his finger while operating on a soldier. Probably due to his weakened state, he contracted septicaemia (blood poisoning) and died of his wounds on November 12, 1939. His statue in Montreal's Norman Bethune Square. Virtually unknown in his homeland during his lifetime, Bethune received international recognition when Chairman Mao Zedong of the People's Republic of China published his essay entitled In Memory of Norman Bethune (in Chinese: çÅ¿çÆÆ), which documented the final months of the doctor's life in China. Almost the entire Chinese population knew about the essay which had become required reading in China's elementary schools during China's Cultural Revolution (1966–76). Mao concluded in that essay: "We must all learn the spirit of absolute selflessness from him. With this spirit everyone can be very helpful to each other. A person's ability may be great or small, but if he/she has this spirit, he/she is already noble-minded and pure, a person of moral integrity and above vulgar interests, a person who is of value to the people." Bethune is one of the few Westerners to whom China has dedicated statues, of which many in his honour have been erected throughout the country. He is buried in the Revolutionary Martyrs' Cemetery Shijiazhuang, Hebei Province, China, where his tomb and memorial hall lie opposite the tomb of Dwarkanath Kotnis, an Indian doctor also honoured for his humanitarian contribution to the Chinese. One of the three honoured in this memorial is the hero of the Academy Award–winning film, Chariots of Fire, Reverend Eric Liddell of Scotland. He died while incarcerated in a Japanese prisoner of war camp in Shandong Province. Elsewhere in China, Norman Bethune University of Medical Sciences, founded in Changchun, Jilin and later merged into Jilin University as Norman Bethune College of Medicine, is named after him. Similarly his memory is held dear to students and staff at three institutions in Shijiazhuang namely, Bethune Military Medical College, Bethune Specialized Medical College and Bethune International Peace Hospital. In Canada Bethune College at York University, and Dr Norman Bethune Collegiate Institute (a secondary school) in Scarborough, Ontario, are named after him. The Government of Canada purchased the manse in which he was born in Gravenhurst in 1973 following the visit of Prime Minister Pierre Trudeau to China. The year previous Dr Bethune had been declared a Person of National Historic Significance. In 1976 the restored building was opened to the public as Bethune Memorial House. The house is operated as a National Historic Site of Canada by Parks Canada. In August 2000, then Governor General Adrienne Clarkson, who has Chinese ancestry, visited the house. On that same occasion she unveiled a bronze statue of him erected by the Town of Gravenhurst. It stands proudly in front of the Opera House on the main street of the community. The city of Montreal, Quebec, Canada, created a public square and erected a statue in his honour, located near the Guy-Concordia metro station. In March 1990, to commemorate the centenary of his birth, Canada and China each issued two postage stamps of the same design in his honour. In 1998, he was inducted into the Canadian Medical Hall of Fame located in London, Ontario. In 2000, the Bethune Institute began its work in memory of Dr. Bethune, entitled, Pink Pagoda . This humanitarian effort saves baby girls from infanticide. The Bethune Institutes Executive Director, Dr. James Garrow, was nominated for the Nobel Peace Prize in 2009 for the Pink Pagoda program in the Peoples Republic of China. In February 7, 2006 (Spain) - The City of M¡laga opened the Walk of Canadians, in his memory. This avenue, which runs parallel to the beach "Crow Rock" direction to Almeria, paid tribute to the solidarity action of Dr. Norman Bethune and his colleagues who helped the population of Malaga during the Spanish civil war. During the ceremony, unveiled a commemorative plaque with the inscription: "Walk of Canadians - In memory of aid to the people of Canada, at the hands of Norman Bethune, has provided the fugitives Malaga in February 1937". It also undertook the planting of an olive tree and a maple tree representative of Spain and Canada, symbols of friendship between the two peoples. Dr Bethune (simplified Chinese: çÆÆÅÅ«; traditional Chinese: çÆÆÅÅ«), one of the most successful Chinese movies, was made in 1964 in memory of him; Gerald Tannebaum (simplified Chinese: ÈÅÉ; traditional Chinese: ÈšÅÉ; pinyin: T¡n Nngbäng), an American humanitarian, played Bethune. Bethune was the subject of a 1964 National Film Board of Canada documentary Bethune, directed by Donald Brittain. The film includes interviews with many people close to Bethune, including his biographer Ted Allan. Donald Sutherland played Bethune in two biographical films: Bethune (1977), made for television on a low budget, and Bethune: The Making of a Hero (1990). The latter, based on a 1952 book by Ted Allan and Sydney Gordon, was a co-production of Telefilm Canada, the Canadian Broadcasting Corporation, FR3 TV France and China Film Co-production. In the CBC's The Greatest Canadian program in 2004, he was voted the 26th Greatest Canadian by viewers. In 2006 China Central Television produced a 20-part drama series, Dr Norman Bethune, documenting his life, which with a budget of yuan 30 million (US$3.75 million) was the most expensive Chinese TV series to date. The 2006 novel The Communist's Daughter, by Dennis Bock, is a fictionalized account of Bethune's life. The book of short stories, Cottage Gothic, by Martin Avery, contains fictionalized accounts of Bethune's life, particularly in the story "Chinese Gold", which also appeared in Best Canadian Stories. Both books were published by Oberon Press. The Television miniserie, Canada: A People's History, by CBC, briefly mentioned his story during the episode describing Canadians in the Spanish Civil War. Rod Langley wrote a play entitled "Bethune" in 1973, which covers Bethune's life from his move to Detroit to his death. It was this play that the 1977 Donald Sutherland film was based on. ^ Henry Norman Bethune. Encyclopedia of World Biography. Thomson Corporation. ^ a b Lloyd D. MacLean, Martin A. Entin (2000). "Norman Bethune and Edward Archibald: sung and unsung heroes". Ann Thorac Surg 70: pp. 1746–1752. http://ats.ctsnetjournals.org/cgi/content/full/70/5/1746?maxtoshow=&HITS=10&hits=10&RESULTFORMAT=&fulltext=pneumonectomy&searchid=1&FIRSTINDEX=100&resourcetype=HWFIG. ^ Edgar A Porter (1997). The People's Doctor: George Hatem and China's Revolution. University of Hawaii Press. pp. 115–118. ISBN 0824819055. http://books.google.com.au/books?id=iTdNTR4ZefwC. ^ Porter (1997), p. 122-123. ^ Larry Hannant, The Politics of Passion: Norman Bethune's Writing and Art (Toronto; Buffalo: University of Toronto Press, 1998) p. 195. ^ Allan Hustak. "Statue of Bethune getting new home". The Gazette, Montreal. http://www.canada.com/components/print.aspx?id=0fdbe6ad-0cd1-4c38-be5c-b67cb2780514. Retrieved December 3, 2007. ^ Brittain, Donald (1964). "Bethune". NFB.ca. National Film Board of Canada. http://www.nfb.ca/film/bethune. Retrieved 2009-03-05. ^ Xinhua. "Sixty-seven years on, Canadian idealist moves China again". People's Daily Online. http://english.people.com.cn/200608/31/eng20060831_298507.html. Retrieved September 1, 2006. Archived page of Bethune Institute for Anti-Fascist Studies. Gerd Hartmann: Humanist statt Held (German: "Humanist rather than hero"). China's Canadian hero Toronto Globe and Mail book review of recent Bethune biography by Adrienne Clarkson.